Hello! 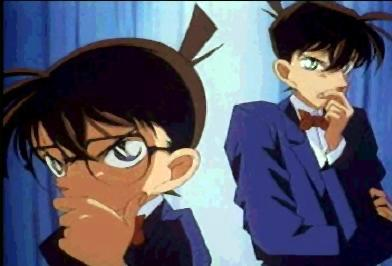 This is the first blog post for Detective Conan. I'm very glad that you're visiting it! That makes me very happy! And if you'd like, please join and become a member/moderator/administrator to help this site grow and develop, and maybe one day this site will increase Detective Conan's fanbase! ^^! 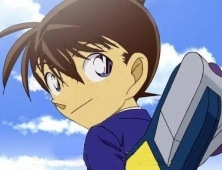 By the way, I am looking for some moderators and another administrator for this site, so please ask if you wanna become an admin or mod for Detective Conan. I'm looking for Moderators to keep this place safe and well looked after while I'm away for a while or something. And for admins to help increase the fansites pages and such. And I could also use a bit more help and such with this site, so an admin would be very useful. (Cause right now, the page limit is just 5, and that really, really, bothers me! Dx! And since I have no change on me, and my parents would'nt even want to pay so I could add more pages, I need some extra help from an administrator and maybe we could see if we can work things out and such. (But of course, as an admin and moderator, you need to stay active, cause if you're not active, your membership would lower back down to just a member. And as an admin, you need to ask before adding any new pages. Cause I won't be too happy finding out some random page about Naruto and One piece on a Detective Conan fansite. lol. xD!) So anyways, if you would like to help, then please join Detective Conan and then come and PM me if you wanna become an admin or moderator. But before that, I'm going to have to get to know you first. So, that may take a few weeks or so, before I set you up as an admin or mod here. Anyways, I'm making a few adjustments to this site at the moment, and now, it looks pretty well done. I am quite proud of myself. I hope you like the layout and such here. I'm trying to make it as appealing and comforting as possible. ^-^!